Being in charge of all your own business decisions can, of course, be rewarding, exciting and profitable. But research shows the time and dedication involved can also lead to burnout, with symptoms that can include emotional exhaustion, a sense of detachment or cynicism, a feeling of personal or professional inadequacy, reduced productivity and reduced coping skills. If you’re there now, you’re not alone. 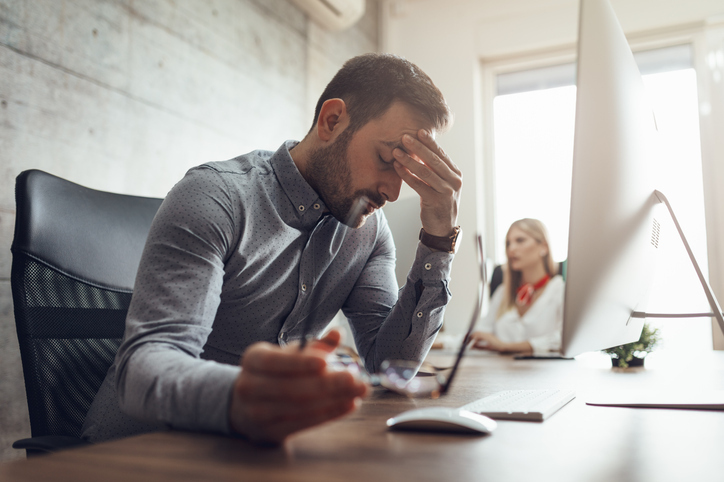 A recent Xero study indicates 77 percent of small-business owners in the U.S. feel burned out at least part of the time. The good news? Those effects are reduced as a business matures; analysts believe much of the pressure is relieved once a business survives the precarious first 10 years. So what can be done if you’re an entrepreneur starting to experience such burnout? Consider how some of the following actions may help. – Reconnect with customers. Reviewing their needs and how you’re making their lives better or easier may re-inspire you. – Offload tedious tasks. Spring for the technology or personnel that can take your least favorite responsibilities off your plate so you can focus more on the parts you enjoy. For many entrepreneurs, that means outsourcing or automating administrative or financial tasks. – Say no without guilt. If certain clients, employees, obligations or other business elements are adding to your stress, weigh that against their worth to the company. They may not be worth the negative energy they create. – Get organized. Disorganization of your files, computer, desk and/or processes can add to your stress by subtly or overtly affecting your sense of control. Spend a weekend pulling everything together. – Establish priorities. Number your daily, weekly and/or monthly tasks based on those most crucial to the bottom line of your business. Moving your way down a list lets you easily review what you’ve accomplished and makes you feel more in control, even if you aren’t crossing off as much as you’d like. – Don’t work during downtime. Even if you’re excited and energized by your work, you still need time to relax, rejuvenate and think about other aspects of your life. Temporarily letting go of control can be tough for entrepreneurial personalities, but failing to take downtime (including vacations) will eventually mess with your health — and nothing’s more important than that. – Understand your stressors. Acknowledge and strategically manage anything you hate about your job. You may wish to get certain tasks over with first thing in the morning, or to delegate certain projects or clients to someone who takes them in stride. Custom Toll Free can design a call marketing program that drives leads to your small business so you can focus on management. Call us at 1-800-CUSTOMIZE.